Our fans' security is very important to us and we want you to have an exceptional experience at our Historic venue. Please excersice patience as we make these changes. ***Note: Security Screening using hand held metal detectors will be used for auditorium events. Please arrive early. Doors open one hour before show time. 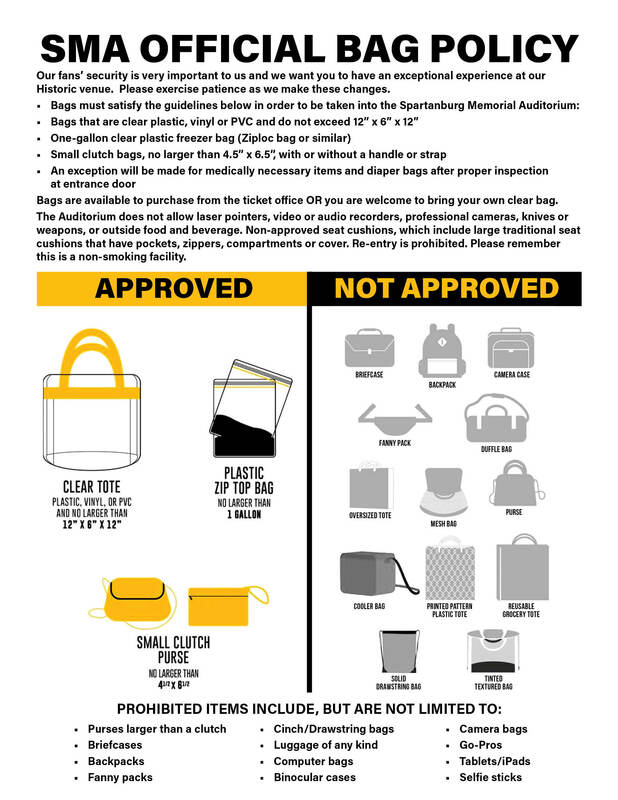 Bags are available to purchase from the ticket office OR you are welcome to bring your own clear bag. The Auditorium does not allow laser pointers, video or audio recorders, professional cameras, knives or weapons, or outside food and beverage. Re-entry is prohibited. Please remember this is a non-smoking facility.